Who am I? | Precious Thoughts! 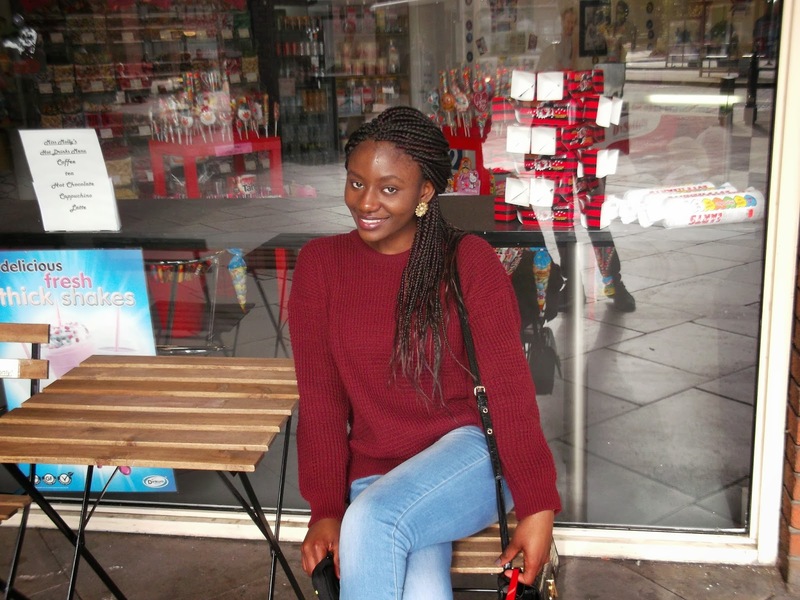 A young, fun-loving, vibrant lady called Princess Okechukwu has started this new blog today [21/11/2013]. I am a Law student. I’m a nigerian, a lover of movies, music and God. I’ve been meaning to start a blog for a while now, but didn’t just get to it until now. So I’ve titled this blog: ‘precious thoughts’ because I’m a firm upholder of this saying: ‘actions are as a resultant effect of the thoughts in our minds’; and if our thoughts are given greater value, the world will be a better place to live in. I am setting out to carry on with this blog not because I know all I want to do, but because I am certain that: this blog is going to impact minds in a positive manner, with the use of everyday experience, knowledge and your contribution as well. While I am figuring out the diverse areas I will be involved in, I will also like to urge you to come along with me on this new journey; it’s going to be awesome!! Wow! U ve just inspired me and changed my thoughts life about. Keep it up. I must say am very proud of you for starting a project like this, may God almighty continue to give you strength,wisdom,creativity, to nurture this beautiful, inspiring project to a world class standard, i wish you all the best.CONGRATULATIONS!!! This is really nice. Am glad my generation is making a difference. Keep it up! More Grease & More Grace! This is pretty awesome my Princess! I have always known you to be second to none. Am glad this seed of greatness is manifesting in my presence. Always remember that every seed has a potential of a huge tree and as you nuture this seed, by the grace of God, a huge tree will soon spring forth IJMN. RIDE ON MY BABY, NO MAN CAN OR HINDER YOU!!!! Nice one dear, i pray that God will fill you with more wisdom and understanding IJMNA. he will direct everything about your doings Amen!!! Awww thanks a lot; Amen.